Nobody wants to wake up at 5 a.m. I don’t blame you for scouring the internet for trying how to fix it. Hey, I’m grumpy if I wake up before 7 a.m. these days. 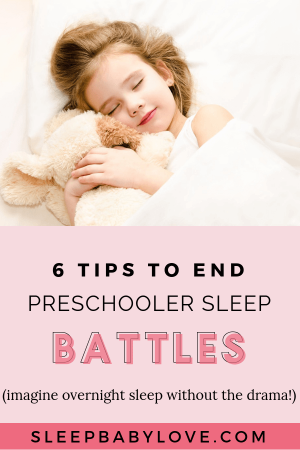 But not long ago, I remember waking up before 5, even before the sun came up (from my now 8-year old) and I’m proof that your baby’s early wake-up will not stay that way forever. 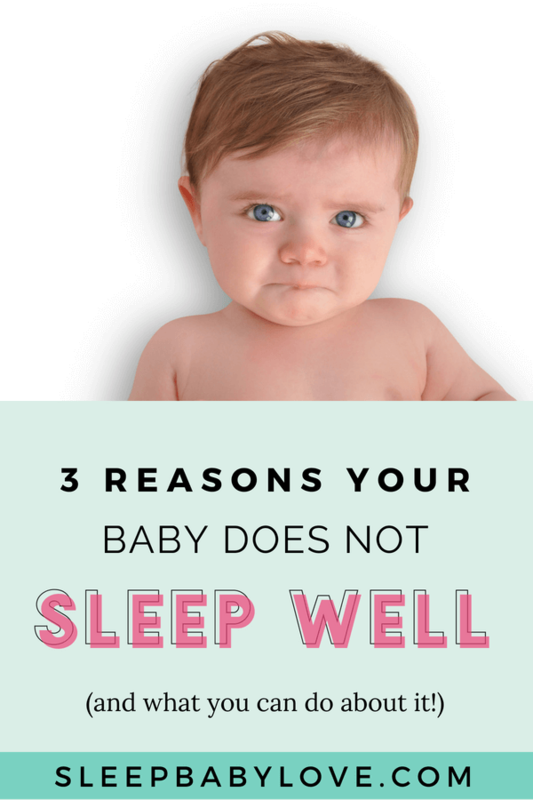 So let’s figure out why your baby wakes up too early so we can get you all some more rest. First off, what is an early wake-up? Everyone has their own definition. Some people want to wake up at 8:00 a.m. Some people want to wake up at 7:00 a.m. I think it’s important to first define what is an early wake up is to make sure we are all on the same page. I get it, some of you reading this just hated what I just told you. (I hate to be the bearer of bad news). 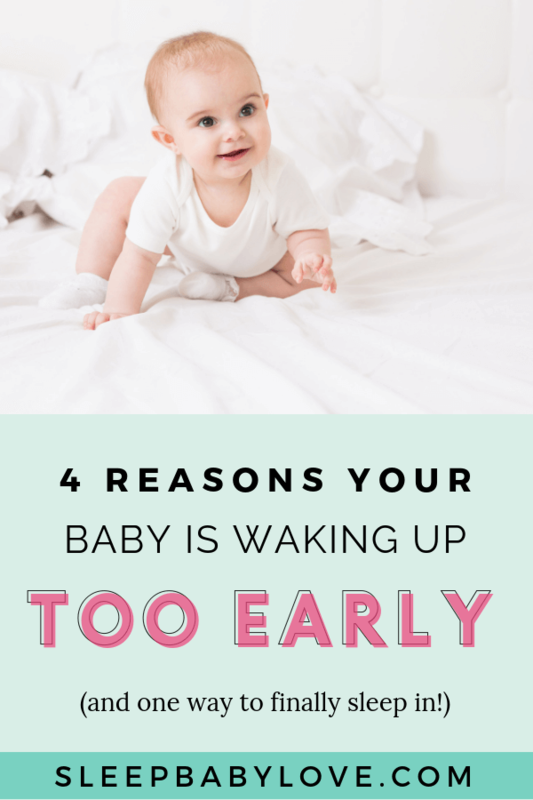 Is it possible that your baby is just an early riser? It is possible if your child wakes up at 5:30 a.m. each and every day (and has been for life), that might not be an early wake-up. You may just have a baby who was born to wake early. That’s the way your baby’s biological sleep rhythms are set. So we will keep that in mind because we have to have realistic expectations when it comes to sleep. But… on a positive note, there are things that you may be doing that is resulting in the early wake-up. So let’s dive in a little deeper. OK? Even if your baby is waking up at 6 a.m. and you want him to start waking up at 7 a.m. I don’t want you to think that all hope is lost, you can still you use the tips below. You’re knee deep in the sleep-deprived trenches. You have to understand why you are having the early wake-up in the first place. Some of the reasons are pretty clear. Others are quite difficult to figure out. 1. 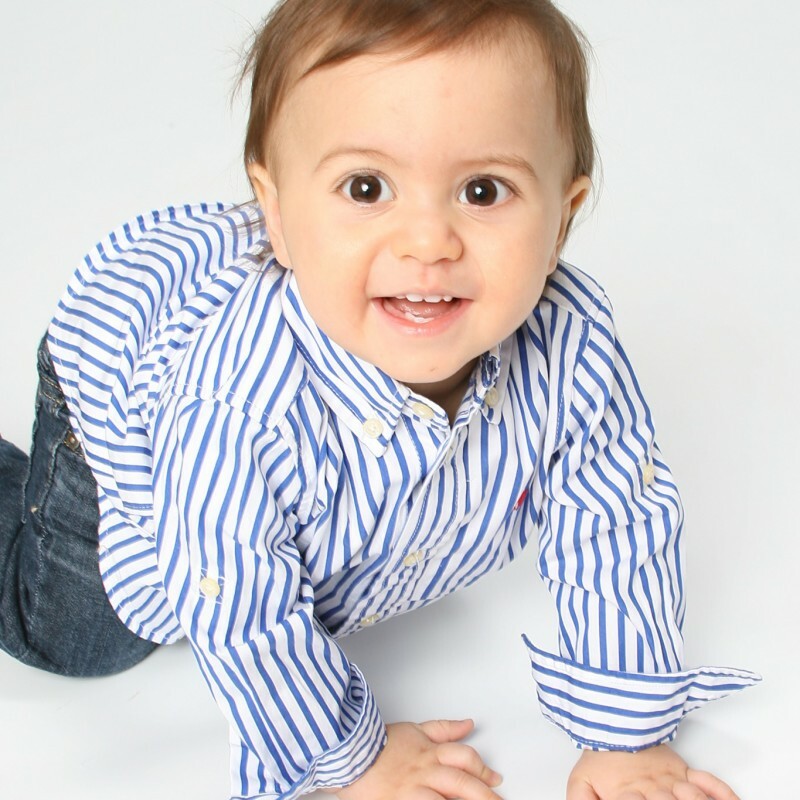 Is your baby going through a developmental period? Your baby is always growing and developing. You will find that are some periods of your baby’s short but precious life that wreak a little more sleep havoc than others. 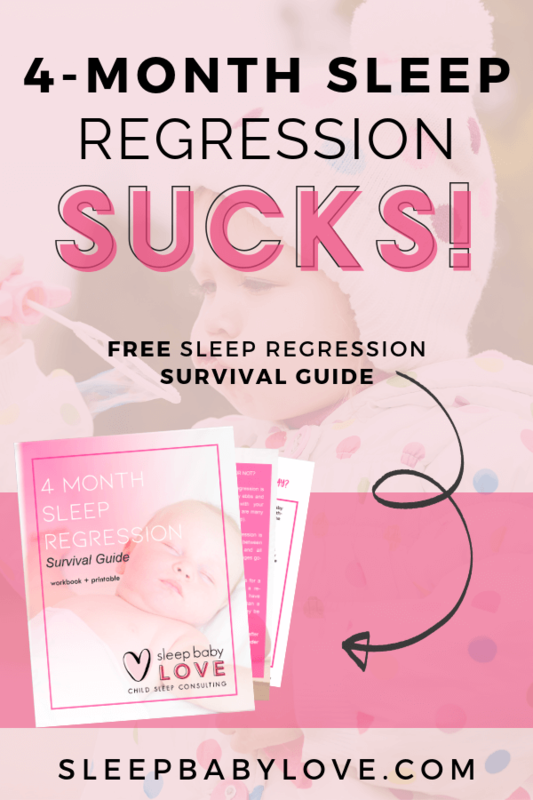 You’ve probably heard of the 4 Month Sleep Regression or 8-10 Month Sleep Regression, but there are also other developmental leaps that occur throughout your baby’s life. You may also hear these periods called wonder weeks. To keep things as simple as possible – Things just get off. For no good reason. When this happens, you probably don’t need to do anything for things to get back to normal. Just be patient. I caution you not to blame these periods for all your troubles…. because if you do, you will never try and fix things. You will only keep pointing the finger since there is a lot of growing and development going on. 2. 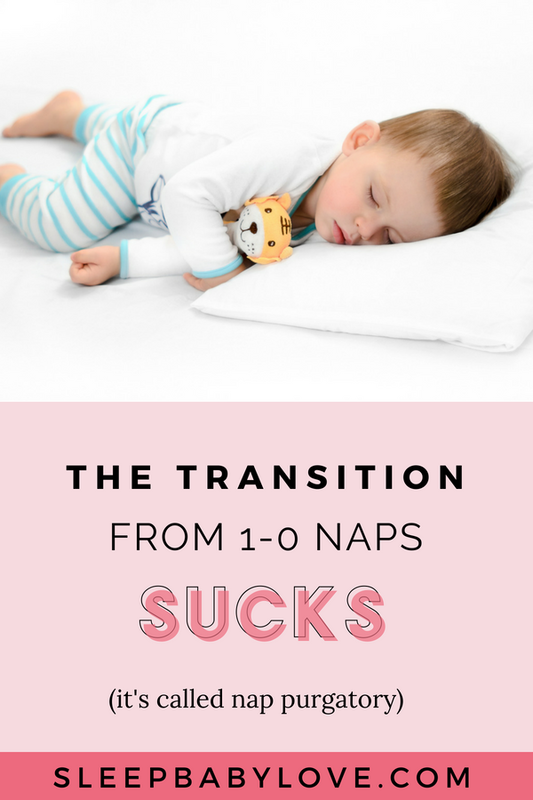 Is your child going through a nap transition? There are many transitions in your baby’s life. 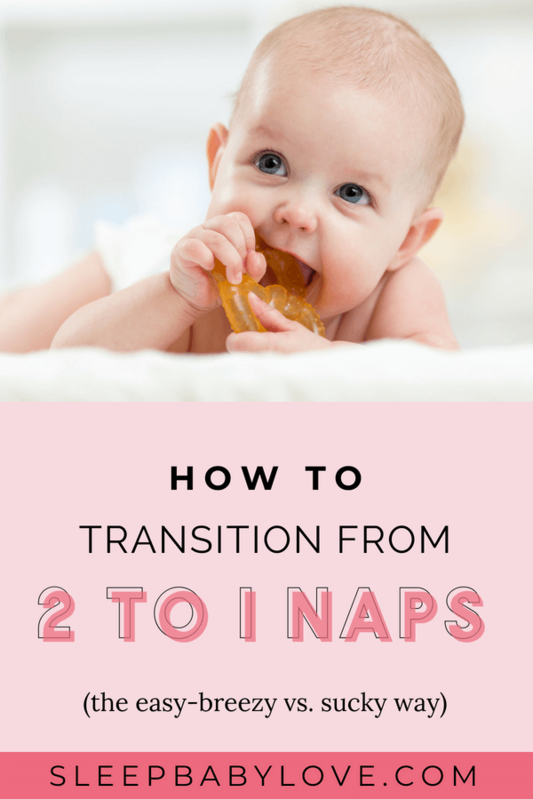 And nap transitions are one of the super not so fun things that keep you on your toes. The most sensitive transitions occur from 4-3 naps and 3-2 naps but of course, the 2-1 nap transition may mess things up as well. If you know that you’re going through a nap transition and you are seeing an earlier than normal wake-up, I expect the wakeup to bump out once you’re done transitioning. 3. Does Your Child Have Independent Skills? Independent skills or allowing your baby to fall to sleep by herself is where all the magic of sleep is at. If your baby doesn’t possess these skills and you have to constantly feed her, nurse her, bounce her or rock her, then you can’t expect your baby to fall back asleep. 4. 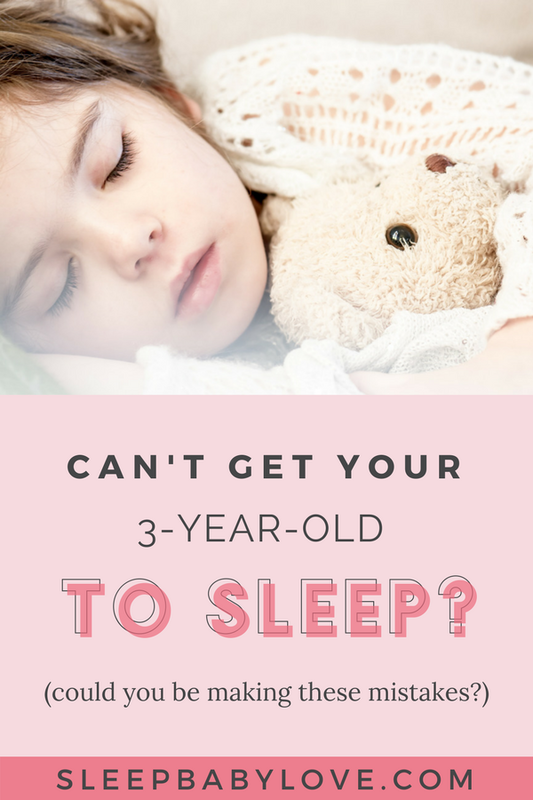 Is your child getting enough sleep? A well rested baby = happy baby = sleeping baby (and the happy parents to boot). 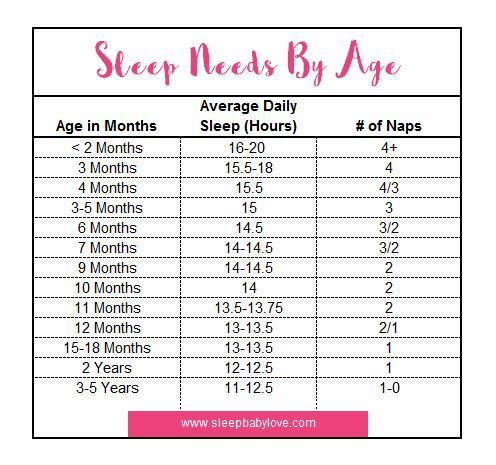 So always look at the amount your baby sleeps in a 24 hour period and see if you’re in the average ranges of total baby sleep. 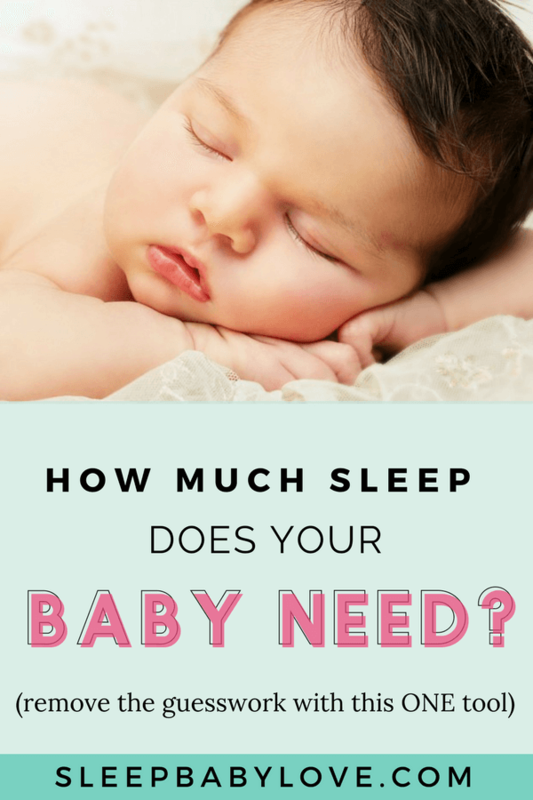 If your baby is getting way less than the average sleep needs, I would say that your baby is overtired, the most common reason a baby would be waking early. Certain babies are sensitive. 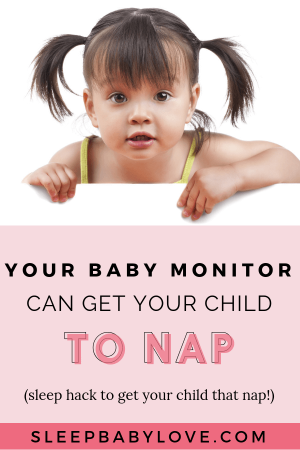 So you also need to take a closer look at the awake period between the last nap and bedtime to make sure it’s age appropriate as well. Some babies can get overtired to that last stretch of time. 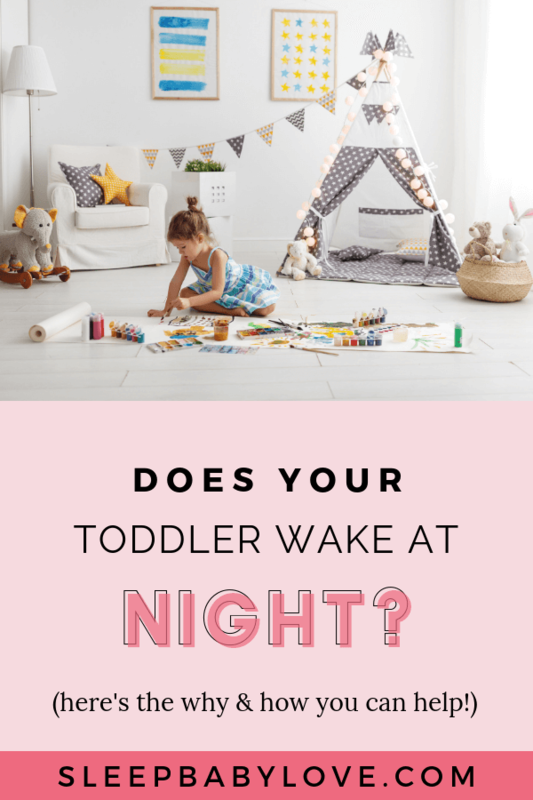 For example, an 8 month child may be able to handle a waketime between the second nap and bedtime of 3.5-4 hours, but I’ve worked with clients who showed us an early wake-up with any time over 3 hours. 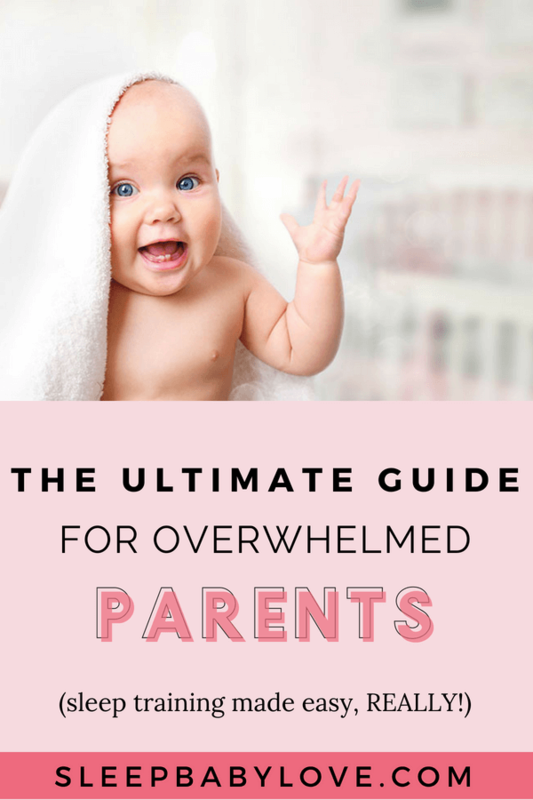 So it’s very specific to what your baby can handle before getting overtired. And an overtired baby wakes early. 5. 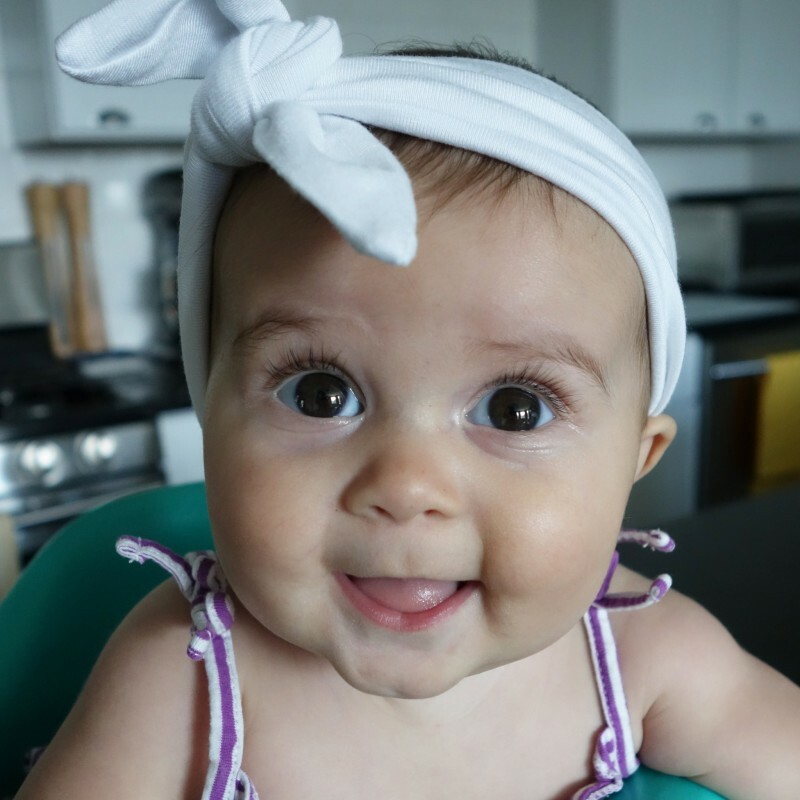 Does Your Baby Get An Early Morning Feeding? If you are feeding your baby throughout the night and you find that your baby is getting up early, take a look at the number of times your baby is eating (to figure out if it’s for food or comfort). Many parents often will feed their baby in the early morning hours and have them fall back asleep for another couple of hours. 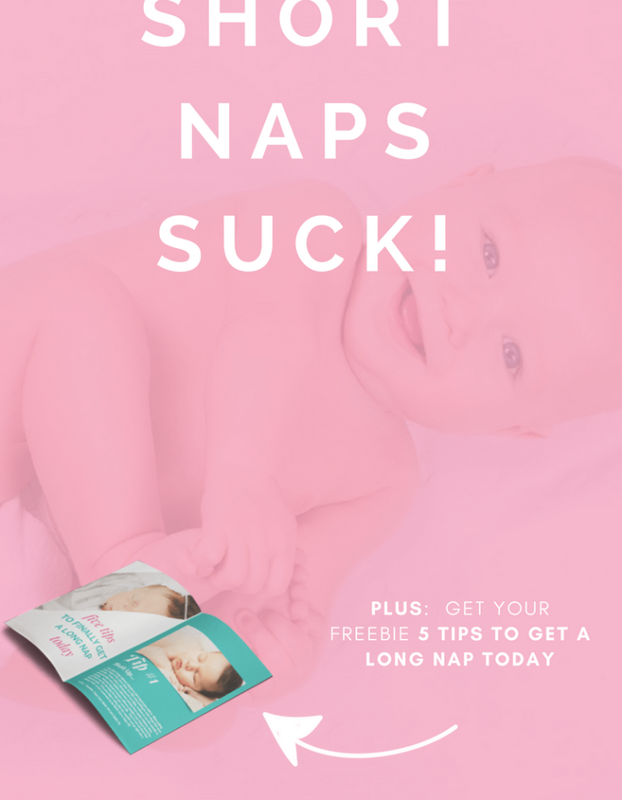 When that works and your baby falls back asleep – great. You have no problem. But here’s the other scenario. You are feeding your baby and your baby says “no, no, I’m not going back to sleep” and is looking to party at 5am. Well, that’s when you have a problem and you’ll want to take a closer look at that feeding. The easiest way is to eliminate that feed and an early morning waking is to allow your baby to consolidate night sleep. So, What Do You Do When Your Baby Wakes Up too Early? Pop Quiz: What do these all have in common? Early morning feedings, early morning snuggle sessions, and early morning TV. Anyone know what these all have in common? YOU! You are involved with all of them. You might not even realize it, but these early morning responses to your baby might be actually reinforcing the early wakeup. 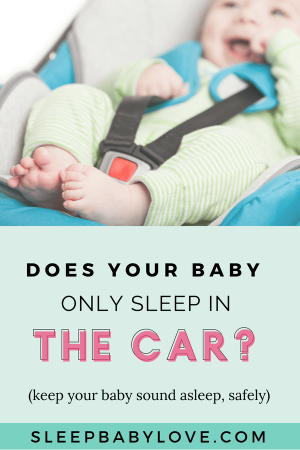 So how do you fix your baby from waking too early? It’s easy (ish). Draw a line in the sand. Don’t get your baby until after 6am. (or later if you want to). 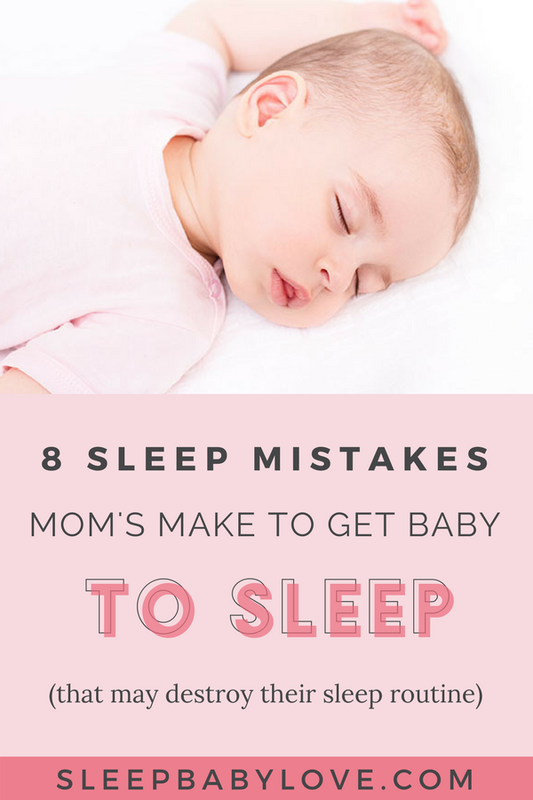 This will help your baby learn to fall back asleep (which sometimes isn’t so hard once they know they aren’t getting something that they are looking for). This will make it easier for your baby to know that “hey now’s not the time to wake up”. It will make it crystal clear for your baby. Same for you. 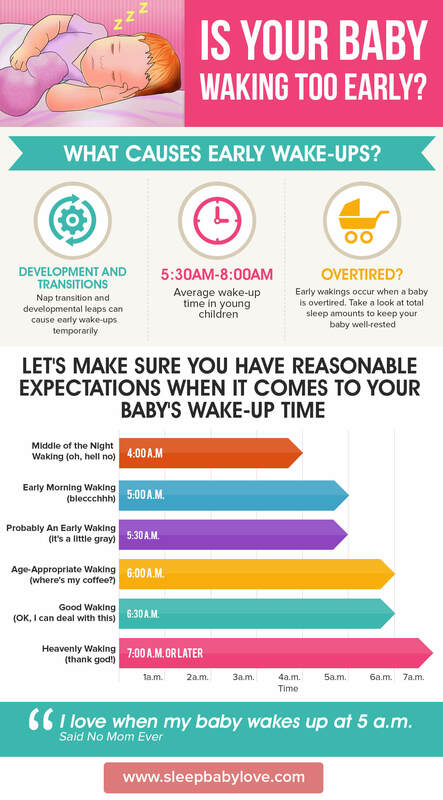 Now expectations are another thing… It may take your baby a week or two to see a later wake-up. Patience is a virtue when it comes to sleep. 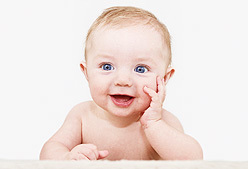 Your baby may be waking too early now, but it might not be forever! Once you’re ready to figure out the reasons why your baby is waking early, you can go ahead and fix it. Who is ready to bust the early wakeup? Write in the comments and let me know below what time your baby woke up today and what you think the reason was below. Comment Below: What’s your best advice for someone who’s baby wakes up too early? My sweet girl woke up at 4:55 AM today, gratefully she went right back to sleep until 9 AM! We have been working on moving up her bedtime, so I think that is the culprit. When she stays up late she wakes up anywhere between 7 AM – 8 AM. Great! Keep playing with the timing and celebrate the win that she fell asleep by herself! My 8 month old has been doing this! Waking between 4-5 but often times he has pooped and wants to be changed. Then I feel like I need to change him and feed him. He falls back to sleep on his own half the time. Otherwise his napping is off all day. I’m not sure what to do! 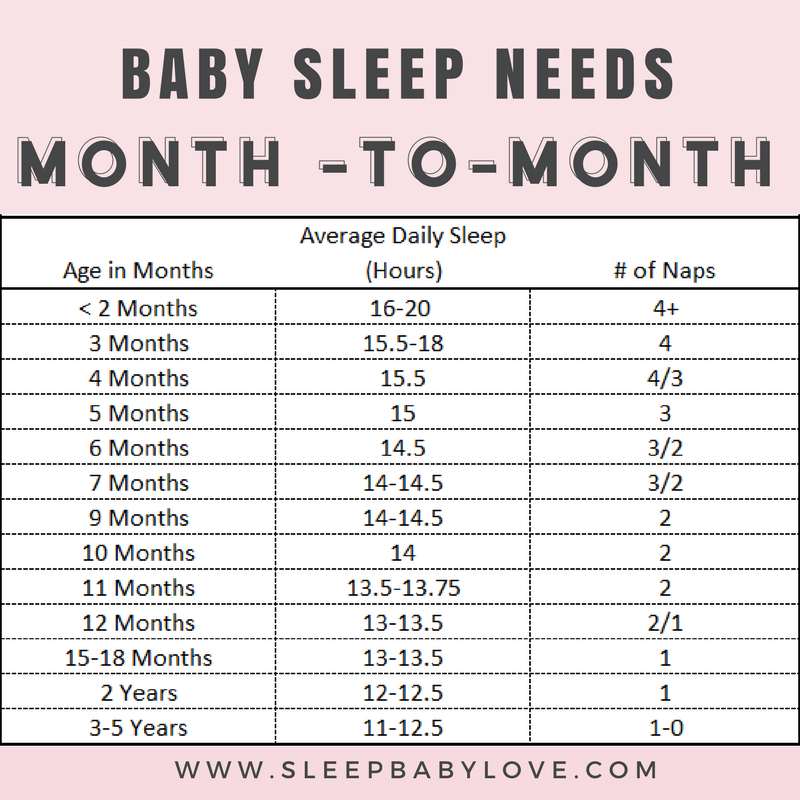 My 10 MO is an early waker (usually around 5 AM) who falls back to sleep after nursing. From this, I suspect he is just hungry (despite the fact that he eats three full meals now and still nurses 4x in every 24 hour period). On the weekdays this is not a huge problem, but I would love to sleep later on the weekends! Should I not get him until after 6 AM? I’m worried that if I ignore him and he just stays awake, then he will become overtired. I have ignored him a couple of times here and there (admittedly very inconsistently) and he has stayed awake. Is the key to plow forward and be consistent? consistency is definitely key – but only if you are ready!!! But what if he is crying and crying…. how long do you allow the tears and loud screaming to go on? That’s a personal question and each family is different! I was doing the cry it out method and everything was working fine. He was waking up between 5:30-6:00 at 3-4 months. Once 4 months hit (he’s now 5 months) he started flipping over on his back and he won’t fall back asleep. He never learned how to sleep on his back, he was always a belly down sleeper. Since he flips over now the cry it out method isn’t working anymore. He now wakes up between 4:30-5:00 ready to start the day. I need help!!! Going crazy waking up so early. Hi. I know you posted this ages ago but I wondered if you managed to solve the early waking issue? My 11 month old has been early waking for months now and just looking for any ideas to try and solve it. yes, i work with clients who have been successful using these tips! If you ever need additional help, maybe one of my consults can help? I have a 12 month old, he wakes up at 545-6 every day and then plays and goes back to sleep around 930-10. When he wakes up at 545 he has so much energy plus he has a heavy heavy diaper that needs to be changed. How can I fix this? Also we just transitioned into cows milk and it hurts his belly, so I don’t think we are going to have him drink it anymore, but he is so used to having it when he wakes up, how can I break that? I can’t cook him breakfast at 530 am that’s insane! Lol? Maybe that’s his natural wake-up time if he’s waking up with a lot of energy! Better than a cranky baby! Hi! I have a baby that is now turning 6 months. She wakes up between 5 and 6 AM for the day. I then put her in around 8- 8:30 to nap. She only sleeps for a half an hour. Then the following nap she sleeps for 40 minutes and the third for half an hour. She is not getting the sleep she needs and because of that she is cranky ALL DAY! HELP!!! Maybe try for less time between wake up and nap time. I find that if I put my son down more then 2 hours after he wakes up he is then overtired and has a hard time sleeping longer, then it becomes a vicious cycle. 2.5-3 hours from morning wake up until nap time might be too long of a gap. Hi! So my son is 5 months and horrible at naps. He was only sleeping barely an hour at each nap. What finally worked for me was really paying attention to his “sleepy” cues and taking him back to his nursery. I would try to rock him to sleep but if he just screamed and fought me, I’d lay him in his crib. He might cry for a bit but eventually went to sleep. When I first started this he would wake just before the hour mark, but I wouldn’t go get him and a lot of times, he’d go bck to sleep! Finally he’s sleeping a little past an hour sometimes an hour and half and it’s helping his mood so much! Usually his last nap of the day is the shortest but he still seems happy afterwards. Hope this helps! My almost one year old had been waking up at 5 am this past week ? I’ve been rocking her back to sleep but it never seems worth it for the extra half hour I get once I out her down. When she wakes up, do I go in there every few minutes? I feel like once she would fall back asleep it would be time to wake up again. Thanks in advance! My 21 mo is waking anywhere between 4:30-5:30am. Although I am consistent with taking him back to his bed he only stays in there for 15 min until he is back up. With such an early wake up he is now napping in the morning (9am-12pm) and back to bed between 7:30/8:00pm. No one else in the house is up this early except for him. What else can I do to get him to sleep at least until 7am? Hi, I have exactly the same situation with my 21month old. At first I thought he was hungry in the morning so I have tried giving an extra (healthy) snack before bed. But he continues to wake super early – and he’s happy if he’s allowed to go get out of bed. He’ll also have his nap in the morning which results in long awake time till bed (if I delay morning nap then he won’t nap long enough). i have a 12 month old who consistently wakes up at midnight wide awake and refuses to go back to sleep for an hour. Once he does go down he’s awake again at 4.30-5. im back at work now and desperate for him to sleep through but i just dont knwo what i can do. Hi i just want more advice to my little one his been waking up so early now since he was 12month old and now his already 14months he still waking up super early at 5:00am to 5:30 i dont know what to do now even it i let him cry for one hrs to sue his self but seem not working too his still doing crying a lot and cranky every morning!? My almost ten months old woke up at 5am today and has sporadically been waking between 5 and 5:30 on some days over the past couple of weeks. His “normal” is to sleep till between 6 and 6:30 . His normal bedtime is between 7 and 7:30 though we’ve had a couple nights where it’s been pushed back so not sure if this is the result of overtired or a bit of a built up sleep debt or if it’s due to developmental happenings (he’s probably about to walk) , any additional advice or insight is very appreciated! Our almost 4 mo has been waking up around 5 most days for 2 wks. I like the idea of leaving him in his room til 6 but the resulting crying will wake up my 3 yo in the next room which leads to an awful day for everyone. So the wife & I alternate “morning duty,” that is taking him for a walk or car ride so the others in the house can sleep. Today my son got up the earliest he ever has. 6am! We sleep trained for nights when he was 5 months. We kept the 5am feed and he’d go back to sleep 8-830. At 6 months he dropped that feed and wake up has slowly been getting earlier. He goes to bed between 7-730 and was waking at 645-7 for the day. The past 2 mornings it’s been earlier… and he’s woken crying (usually when he wakes he plays). He has started to get up on all fours and rock about a week and a half ago. 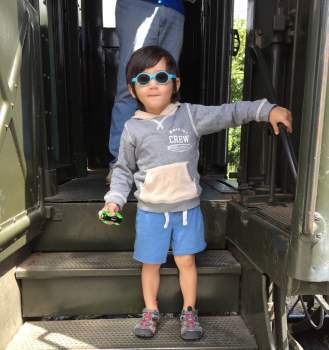 And maybe getting top teeth… and we’re kind of in the zone of 3-2 transition… he’s 7 months on October 9 and has been sttn 715-645 until 2 days ago. Just frustrated as I am not good with change. and I want to understand why!! Did you ever find a solution? My almost 8 month old is going through the EXACT same thing. My 11 month old twin girls (9months adjusted) started waking up between 5 and 5:30am for the last four weeks. It’s not hunger because we were doing a dream feed at 9:30pm and they would still wake at the same time as being fed at 7pm. They also don’t finish their bottles in the morning. They used to nap 2 hours twice a day and pretty much at the same time as the early mornings the naps turned into 30-40 minutes. They just started napping better again the last 4 days or so but still waking early. They used to sleep until 7am or later. They are both sleep trained but because we have a toddler it’s hard for us to leave the twins until 6 for fear they’ll wake their brother. Please help!! I know your post is over 6 months old but I wonder how you solved the issue as I am having the same problem with my 9.5 month old. The thing about 23 hours day is exactly what I try to explain to my husband! I figure I could either try and wait for a bit longer for the transition until his awake time allows a smoother transition, or alternate days with 2 and 3 naps to let him catch up. What did you end up doing if you don’t mind me asking? Thank you! Thank you for your website…super helpful! I am trying to figure out what to do about the early wake-ups as, sadly, I know what causes them. Our 12 mos old son has always been an “early” baby. He would go to bed at 7 and would be up by 6-6:30 which was early but worked ok with our schedules. He was taking two solid naps every day and every thing was great. Ugh. We moved about 2 weeks ago and had to find a daycare for him (he was with a nanny before who was super good about his naps/routines) and now he’s been waking up before or around 5 for the past week. I do believe it’s because he’s overtired as he now takes one nap only from 11:30-1:30 or 2:00. Unfortunately, I have no way of changing his nap routine (the daycare will “offer another nap if the child is falling apart” but he acts fine there so they don’t). I was wondering if there was anything else I can do to help him? Would moving his bedtime to 6:30 help? Can I feed him when he first wakes up and put him back down for more sleep? Or would it create an unnecessary habit? We sleep trained when he was around 6 mos and I really hate to go back to any “crouches” to help him sleep. Ugh! Daycare moving too early to just one nap! At least it’s a good one – make sure your bedtime moves early to keep him well rested! My 11 month old son is waking up at 4am and it’s rough. He use to get up at 5-5:30am but after the time change with the clock going back a hour he’s waking up way too early now. His usual bedtime is around 6-6:30pm which is all dependent on when his last nap ended. Any advice would be great appreciated as I’m not sure what to do at this point. My 9 month baby usually wakes at 6 and sometimes at 5. He sleeps in our room and stands and talk in his crib. How do you ignore him ? My 11 month old has been waking up 515-6 consistently for the last several months. We successfully sleep trained around 5 months and aside from occasional issues she’s a good independent sleeper. I’ve tried everything and googled until my thumbs feel off about this. Should I just accept this is her normal? I just hate that our day runs so early and she has to be in bed by 630 to get a good 11 hours of sleep. Hi Susie. I have a 13.5 month old who has been waking between 5:15 and 5:45 for about a month now. He started sleeping through the night right at 12 months,. At first his wake time was normal (6:30), but after about a week it started getting earlier. I blamed the fact that he was going through a development leap, and then I blamed it the fact that he started walking within the last week/week and a half. His naps were a little shorter than normal for about 1@ days during this period, but they’ve gone back to normal (2 naps, 1-1.5 hrs each). He’s been able to be put down awake for all naps and bedtime since he was about 6-7 month old. I know he’s callable of falling back asleep when he wakes up early because for several months, he’d always wake up between 5-5:30 and fuss for a couple mins then go back to sleep until his normal wake up time. I have been leaving him in his crib until 6 for 3 weeks now. I tried going in there to coax him back to sleep when this first started by rubbing his back and soothing him (but not getting him out of his crib). This didn’t work, it just made him more upset. I’ve tried earlier bedtime, later bedtime, nothing has worked. His last nap ends anywhere between 3:30-4 PM. Any suggestions? Please help, we have a 4 month old who wakes every morning without fail at 4:30am. We’ve tried absolutely everything. Going in, comforting and putting back down and she cry’s as soon as she knows your gone, allowing to cry to see if she gives up, no, feeding, no, moving bedtime to later, no, even keeping an eye and ear out for traffic that leaves at that time of day, no, we live in a cul de sac. My little one (12 mos) woke at 4:55 yesterday and 4:30 today. He has a habit of waking between 5 and 6. 6 is exciting for us because it is rare. He goes to bed early some nights (6:30-7) because he is a stinky napper and is tired early. Help! My 10month old wakes at 5 most days, (always before 6 apart from the odd occassion where he can sleep in to 6:30 or even 7). Im struggling to figure out why he can occassionally sleep longer but not consistently? This started at around 71/2 months so its been going on a long time. He self settles for naps and at night, doesnt have any sleep associations and can get himself back to sleep at any other time of night but after 4:30 becomes difficult. I used to feed him and he would take a whole bottle so he must have been hungry but after a couple of weeks he still wouldnt go back to sleep after his feed so i stopped feeding. I tried reducing his daytime naps as he was having up to 4 hours but this didnt help so now i let him nap for as long as he needs. He usually had 1-1:30 hours in the morning and 1:30-2 hours in the afternoon. I now try to not go into him until 6 int he hope he will learn that 6 is morning but he doesnt go back to sleep and usually just ends up crying by 5:30. Once i go in his room he just thinks thats time to get up and party. He is full of beans but will show tiredness by 7/7:30 so i know he wasnt ready to get up. I try to keep his morning nap at the normal time (9am) despite when he wakes but i dont know if this causes over tiredness which will affect him the following night. It doesnt seems to affect his morning nap. He goes to bed around 6:30pm. Afternoon nap usually finishes around 3:30. Ive ran out of ideas now…. i think it is worse when he is overtired but it doesnt always seem to fit. 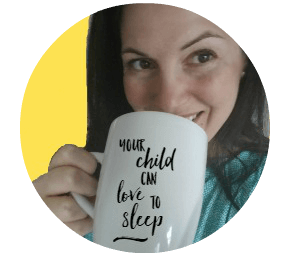 My 10 month old is doing exactly this Danielle now – did you find any answers and what worked? Hi Danielle , just reading your post I am going through the exact same thing with my almost 9 month old. Did you find a solution?? My almost 8 month old (on the 30th) is consistently waking at 6 no matter what. He used to be a 7-7 baby. We are in the transition of 3-2 but have been doing so for now 4 days. Today he woke at 6. First nap at 9. Woke for 15, slept another 15. Second nap at 118 slept for 1.5 hours (crying in between sleep cycles). Asleep by 645. Since I switched to these higher times he STTN but wakes at 6 resulting in very little sleep to start the day and early bed time. Anyway to adjust this? He’s been so exhausted and crabby during the day time! Like rubbing eyes and yawning and glazed eyes before WT is over. Hi. My son is not a great sleeper. He is 6months now and we co-sleep because to be honest I’m too sleep deprived to get up, walk to his crib and stand there and feed him every 2 hours while he takes his precious time sucking as slow as he can because he just loves dream feeding. He is formula fed, my milk supply just couldn’t keep up. But he still dream feeds. And now he is waking every night between 3:30 and 4:30 and he just stays awake, sometimes for up to 1.5hours. He still has 3 naps during the day. I’ve tried to get him to nap longer in the mornings but he likes long afternoon naps and I’m not sure how to switch them. Do you have some advice for me please? I have an almost 6 month old who still wakes up between 4am-5am, but will take her whole bottle and then go back down to sleep until 7:30ish. I want to cut this feeding out but I don’t know how? It seems her cry gets louder and louder when I just leave her – I have tried to go in, put her binky in and rub her head then leave but maybe I just need to just let her cry it out? She randomly here and there will wake up before 4am which is really annoying and mainly because I want to go back to sleep and I don’t want her to wake our almost 3yo, I will give her a bottle (probably a bad idea!!). Any advice? I feel like my doctor said by 6 months they don’t need that bottle in the night time waking hours anymore. Let me know what you think! What is your suggestion to get out of the overtired early waking problem? We always leave our 9.5 month old in her crib until 6 but she has been waking anywhere from 430 to 530 most days. When she wakes so early it makes is hard for her to make it through the day to a reasonable bed time, even if we take her for a drive in the afternoon to sneak in a 3rd nap before bed (which doesn’t always work.) She’s averaging probably 12 hours a day which I know isn’t enough…feeling so stuck! focus on timing!!! That wake up has to be caused by something! Did yoh ever resovle this?? Hello my almost 10 month old has started waking up at 4:30-5. We normally get up between 7:30-8 and go feed the horses. My husband works weird hours since being a firefighter and now she has started waking up too early. This has been about the 7th day in a row. She also has started in with full on temper tantrums. I feel she is overly tired she’s playing hard but since dropping her crib to the lowest setting she is just furious with the change! My son has been sleeping so well and all of a sudden for the last week he has started waking up at 4:40 on the dot! I am going in and shhhing him and then I listen to him complain and cry for an hour before finally getting him up. Only once did he go back to sleep from doing that. It’s torure! His second nap also went down the tubes at the same time. He is just over 9 months. Teething constantly..
tips? Please tell me this will pass soon! My baby boy is 9.5 months old and has been waking up 5-5:30am daily for about 1.5 months. The problem is that when he wakes he is crying fussy and clearly still tired. I have been trying to treat his 5am wakeups as night wakeups by wrapping him in blanket and bringing him with me to kitchen to make a small bottle then laying him back in his cot to take it, and he did go back to sleep once or twice but for no longer than like half an hour. But recently no longer seems to be making a difference as he still wants to get up even after milk. I had one blessed day within the past month that I’ve actually got a 7:25am lie in! But I’ve been trying to figure out how and why he slept better that particular night and morning. He takes 2 naps in the day first is about 8-10, 2hr long and next nap is from 14:30- latest being 4pm. What can I do to encourage him to sleep in later or what am I doing wrong? It’s been about 6 weeks now that I am holding off on going to get my 4.5 month old until 6am and she is STILL waking up at 4:55am daily! I have tried feeding her and leaving her be and it’s still an issue no matter what. I also noticed that if she sleeps really well from the night before and the night, she still wake up at that time. Any ideas on what else I can do? My 8 month old has been waking between 5-5:30. We transitioned to 2 naps about a month ago and he was getting about 2 hours of day sleep. He had one night a week ago where he went to bed about an hour too late and it’s been downhill since then. Almost no naps over 30 minutes and I have been compensating with a 5:00 bedtime, but it’s not helping. Hopefully you go through the adjustment – just sounds like a rough one! Hi there! So I have an 11 mo old little boy. For as long as I can remember now, he’s woken up between 5-5:30 am. I would nurse him, then he’d go back to sleep until between 7-8 am. But now that he’s getting older, I’m trying to wean him off of nursing. Especially that particular one! I feel like it’s more of a comfort thing than it is for nutrients at this point. Especially since when my husband goes in at that time and soothes or rocks him, he falls right back to sleep in his arms. Even if he slept until 6-6:30 am instead that’d make a huge difference! Anyways, my question is what is the best approach to break this habit?! Check out my article – sleep training made easy – it’s a good start! DD woke up at 5:40am this morning. Has been for a week. Prior to that she was sleeping until 6:30-6:45am and I need the 45 min to be able to pump first thing (I am an EPer). She has slept through the night since 6 weeks. Goes to bed at 8:30pm currently. Naps are a mess. She used to nap well for Daddy when he was a sahd but she started daycare 2 weeks ago and now we are lucky if she naps 3 times and can be 30min sometimes up to an hour. I feel she is overtired and not getting enough sleep during the day but I have tried everything I can other than CIO which I do not believe in. Do I just need to accept that she isn’t a napper anymore? I have a 6 month old who has been waking up between 5 and 5:30 for over a month. He’s an independent sleeper (so no sleep association) and not being fed at night. His bedtime routine (book, bottle, diaper, some burping) starts at 6:30pm and he’s down on his crib around 7:20. I never go into his room until 6:30am (my ideal wake time for him for now), but he still wakes up early. He doesn’t cry when he wakes up but rarely goes back to sleep until 6:30 (morning feed). What else can I do? My 10 month old consistently wakes between 5:15 and 5:45. He’s usually very fussy. The few days he sleeps until after 6, he wakes and is content to play in his crib for a while. I understand “drawing a line in the sand”. However, leaving him in his crib results in crying/loud protesting. I don’t want him to wake up my 2 year old, or anyone else for that matter. 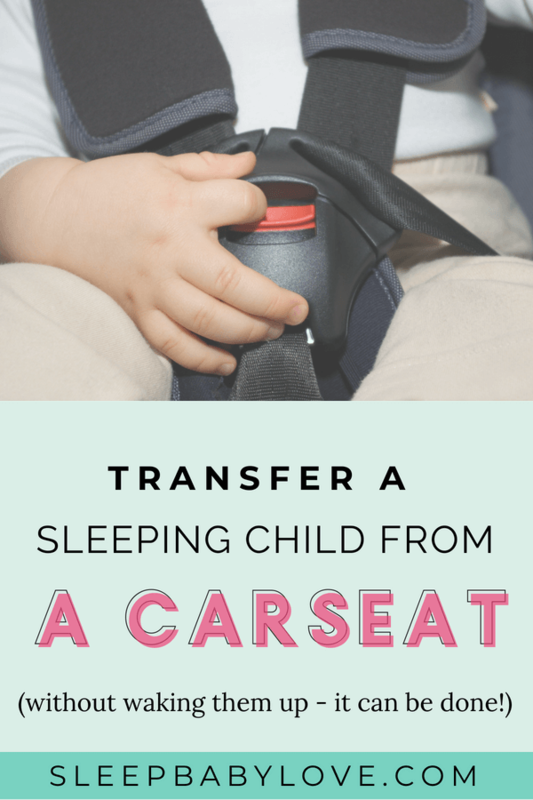 How do you sleep train one child without ruining your other children’s sleep? 2:45 pm we don’t let him sleep for more than 2 hours. Are we not supposed to be waking him up from nap? Should he be having earlier naps? Earlier bedtime? My 5 month son goes to sleep at 6:30pm and wakes at 3:30am every morning though we are going through the sleep regression it was alot worse though I do look forward to the say where he sleeps till 5:30am straight through and I know it’s not him being cold as he has a warm sleeping bag, socks and heater on low I think he’s just waking for a feed then goes back to sleep till 5:30am. But abit annoying when he goes to sleep at 4:30am. If baby wakes at 5 and you leave them till 6 in the crib, should you base the first nap off the wake up (5) or 6? Depends on the nap strategy that you’re using but I would probably split the time in the middle. My 12 month old has slept through the night since he was about 8 months old. I agree with your definition of wake up times, and he was usually a 6ish walker. Lately he’s been getting up in the 5am hour but the then last two days in the 4s. Yesterday I let him cry for 20 but I have a 3 year old right next to his room and I don’t want her up. Yesterday I ended I going in and laying him on me in th chair which I have never done before but I didn’t want him up at 4:30 for the day. Today was 4:50 and he hasn’t cried yet, he’s just been sitting there rubbing his eyes and whining every so often for about 25 min now. I just don’t get it. I’m wondering about the strategy of drawing a line in the sand. This is what we were already doing and We have set 6:30 as the appropriate time based on her recommended amount of sleep and nap times. But some days she doesn’t fall back asleep and just cries until that time. If I go in to get her at 6:30 after she’s been crying a while am I not just teaching her that if she’s persistent I will come? She’s 13 months and has been sleeping a solid 10-13 hours a night since CIO sleep training at 6 months. 6:30am is a very age appropriate time to wake up! I typically say anytime after 6am is fair game. But to answer your question your day has to start sometime. I followed this method of waiting until a specific time, with my first child. I wouldn’t mind doing this with my second, but he shares a room with big brother. Do I just go for it and hope it works in a few days? I’m afraid once older brother wakes up from the crying that he will keep my baby awake, which completely defeats the purpose. My baby is two months and I’ve been fighting for some kind of schedule. When baby started sleeping through the night it was a result of horrible to no naps and baby being overtired. During that time she would sleep 12 am to 8 am strait without waking up. To put her down however would take hours given her fussiness and overall fatigue. Finally after working on her naps baby able to go down around 8:30 or 9 pm without a fight but some rocking after eating. Now this has come with a 2 or 3 am wakimg for food and an early morning wake up time or 6:45. At two months is there any hope for that 2 or 3 am wake up disappearing?? Or can I have her at least wake up a bit later? My 15 month old daughter woke at 5:15 but that was after screaming on and offfrom 2:30-4am. For the last 3 weeks we have been dealing with between 4am-5am wake ups. She has just learned to walk so I thought it was developmental but now she is exhausted. She is taking her nap by 8:30am – we are all off!! Please I need help to get back on track! What about daylight savings? My son has always been an early riser. Now with this darn time change, he wakes up for the day at 3:45 AM. By the time I can fimally get him to go back down for a quick cat nap, I habe to start getting ready for work, and am not able to go back to sleep. I am so tired. My 7 month old has been waking at 4 “for a feed” the not going back to sleep. I leave her in her cot, the only issue is she wakes her 4 year old brother and he wont go back to sleep after (hes always been a crap sleeper). Shes becoming so over tired she is having 4 short naps during the day. Doesnt seem to matter what i do she wont sleep any longer than 40 mins. Im so lost and tired. Help! Elliot has been waking anywhere from 4:50:am – 5:30 for a few weeks. His room is blacked out, he self soothes and sleeps through the night from 7pm and we never get him up before 6am. If he’s really upset I’ll pop in to check on him but don’t pick him up or interact much beyond a ‘ssssh’. I’m hoping with time it will sort itself out because I have no idea why! 6:00-6:20 used to be his usual time and I’m absolutely fine with that, in fact I miss it! The sleep times make total sense why my 9 month old is waking early! He’s napping too much during the day! Now my big question is: now that he’s been up since 5 today, should I let him nap a lot today, or limit it so he’ll sleep 12 hours tonight? Hello! My 5 month old goes to bed at 8-830, wakes up around 3-4 to eat and then usually takes about 1-2 hrs to fall back asleep…after he finally falls back asleep between 530-6 he’ll sleep until 730-8. How can I help him go to sleep quicker? My 12 week old gets put to bed at around 7.30pm. She has a breastfeed around 11pm and another around 2.30am. She also seems to get quite bright eyed after the night feeds and can then take up to an hour to resettle. But the main problem is waking at 4am and not resettling. Any recommendations? My (almost) 1 year wakes at 430 every morning like clockwork. I have created the bad expectation of getting nursed to go back to sleep for another hour because we all need that hour! I am due to go back to work and need to cut it out. She’s a great sleeper otherwise! 1st nap 830-10, second 130-3, bed 630/7- 430 (plus an hour if I nurse). I don’t know how to fix besides letting her cry from 430 until 6..
My 4 month old has numerous wakings at night and a super early wake up. He goes to be around 7, but then feeds at 11, 1am, sometimes 3am 🙁 and then 4:30am where he wants to get up and isn’t interested in going back to sleep. He often has one big nap in the morning of a couple of hours and some tiny cat naps in the day but we’ll undectge suggested 15 hours. Could this be the cause of the night wakings?? My daughter Olivia gets het evening bottle around 6.30 – 6.45 pm and goest to sleep around 7.15-7.30 pm. Durine the last weeks she always wakes up between 4 and 5.30 which was not the case before. She gets her morning bottle at 6.45-7am. At the day care she sleeps around 8.30 until 10 sometimes 10.30am has lunch at 11.30 and they say she sleeps again from 12.45 until 4pm sometimes (which I find strange as at home she only sleeps 1.5 max at time and 2 times a day). And around 4.30 she gets her fruit meal. She is 8.5 months. What could be the reason? Thank you for your help.